from the Boston Globe: E. Forbes Smiley III, 50, of Martha’s Vineyard, Mass., pleaded guilty to one count of theft of major artwork in the theft of a map from Yale University. He admitted taking 97 maps over eight years from the New York and Boston public libraries, the Newberry Library in Chicago, the Harvard University library and the British Library in London. 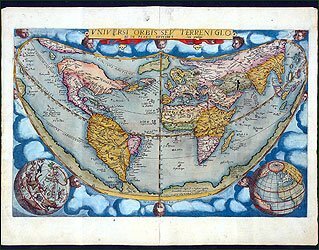 The oldest maps dated back to the 1500s and some are the first records of settlements, terrorities and discoveries in America.